Crusaders of the zodiac, Aries people dare to achieve everything they set their minds on. They are the true pioneers in whatever they do and nothing is too complicated or too silly. Prepare to read everything you’ll ever need to know about them, and of course, keep up with the daily horoscope. Motto: I am, I do. There are some unfriendly aspects going on for you so do expect to have to fight off some negative reactions around you. Maybe you'll have to work more to impose your ideas as well as to make others understand why you are right. Try to avoid any open conflicts because you might lack the appropriate arguments on the spot. You can also read this Aries Daily Horoscope. These natives are for a good reason named as the crusaders of the zodiac. They are determined and eager to succeed. Some other Aries traits for those born between March 21 and April 19 include spontaneity and courage. Arieses enjoy making plans and winning competitions. They are drawn towards industrious and progressive people. On the other hand, people born in Aries dislike having to wait even the smallest amount of time. They try to avoid situations where they would have to obey rules. It is quite difficult to communicate with an Aries, as they are quite distracted and focused on their own needs and plans. The planet Mars influences them to act assertive and strong willed. Being a fire sign, Aries is similar to fire, warm, bright and vital. This zodiac sign is ruled by the first house which is the symbol of power, physical body and personal needs. A true Aries is enthusiastic and resourceful but not very keen on pursuing its plans up to accomplishment. Aries positive traits: These people are self confident, creative and very competitive. The biggest strength of any Aries is represented by the fact they possess a sharp temper and they are very adaptable to almost any situation they encounter in life. Some other Aries qualities are loyalty and respectfulness. They are not only extremely efficient but also very resourceful. A thriving Aries knows how to make use of their ambition and sharp temper in order to succeed in life, although they sometimes may need to try many different paths before they settle to one. 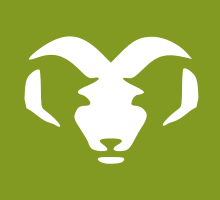 Aries negative traits: Knowing when to compromise and accept that others may have good ideas too is what Arieses need to learn. They are overly confident and prone to building up depression or sadness feelings as they do not open easily to others because they don’t want to risk crashing their strong appearance. Sometimes they tend to be very undiplomatic and self absorbed. Aries weaknesses include hastiness, moodiness and intolerance. But the biggest of them all is the fact that they sometimes pride to much of their own person. Aries individuals can make their life easier if they learn to accept defeat and to acknowledge that people are also prone to mistakes and things sometimes don’t go the way they planned. Fiery and passionate, Aries people can also be hasty when it comes to love. Often, they find it difficult to show their feelings. For the pretentious Aries lover, love does not come easy, but once they have fallen in love, they become the walking image of fools in love. Arieses are attracted to eccentric and creative people who can maintain their interest alive. One can win the heart of Aries if they are just as free spirited as them. When caught up on their own, these natives tend to be focused on keeping their lives busy with their goals. Aries in a couple is sentimental, impulsive and would do anything for their loved ones once a passionate connection has been created. Aries people may have already noticed they are attracted to the other two fire signs: Leo and Sagittarius. With Leos they share the same fiery temperament, while Sagittarians will always attract them with their apparent calm but achieving nature. In love, Aries is in a constant search for someone with whom they can establish a trustful and emotional connection and to whom they can open their souls to. On the other hand, they secretly want to be adored and require a lot of attention. The most suitable sign to give them this kind of commitment is Libra. Also, the fiery Aries is tempered by peaceful and non-confrontational Libra. However, as both signs are adventurous, their union will bring them exciting experiences. On the other hand, Aries people seem to be least compatible with Pisces because they seem to have different views on way too many things in life. You may notice that sometimes things just don’t click and although physical desire may be there, these two signs don’t really manage to open to each other on an emotional level. The way they feel, both emotionally and physically has never been a serious matter for Aries people. They seem to be fearless and consider themselves immune to any health issue. Although most times this proves not to be the best idea. The Aries zodiac sign rules the head, eyes and ears. This suggests that some small incidents regarding their head and eyes may occur to these natives and that they are also prone to frequently catching colds. This sign is somehow prone to accidents and should take precautions to avoid accidents involving their upper body parts. You will most likely meet Aries in a leadership position or as an entrepreneur. These people excel in position that involve leading and innovating and they thrive on challenges that help them prove how independent, energetic and courageous they are. Aries people have a passionate approach of life, they are outspoken and cheerful but they also tend to act hastily at times and take unnecessary risks. They are natural born leaders and no one will make them collaborate or listen to others. They love competitions and anything that gives them the slightest bit of adrenaline. Career occupies an important part of their lives but they are surprisingly adaptable and somehow manage to be successful both in their field of activity but also in their family life. Being close to their family plays an important role in the life of Aries. They are very devoted to their families and are willing to make any sacrifice necessary for their children. Aries children are determined and demanding. They know exactly what they want and they do whatever it takes to get it. Aries teenagers seem to keep their childhood behavior and add to it even more persistence and resourcefulness. The Aries individual is quite independent from his family but very loyal and reliable when necessary. They don’t feel any need to sacrifice their own desires but in the same time they somehow manage to be successful both in their field of activity but also in their families. Arieses are very supportive with the dreams and plans of their friends and they are always eager to give a helping hand. They make one of the most inspirational friends someone can ever meet. But when it comes to hard times they kind of disappear and re-appear when things finally calm down. They are very sociable but you’ll also be surprised by their loyalty. Aries people tend to form friendships at a young age and they seem to keep their childish behaviour in the company of those dear, even when they get older. The Aries women are lively, confident and trust their instincts. Not only Miss Aries is very attractive and magnetic but she is also elegant and refined. These natives are positive and always surrounded by people. They are correct and resourceful and crave for their own independence at a young age. However they are sometimes overly trustful and might get hurt because of that. They are driven to make themselves known and build a comfortable life. The Aries men are strong, enthusiastic and overconfident. They are ready for whatever adventure life sets on their way but they can also be very understanding and caring. They have a generally positive approach to life. They tend to be manipulative when things don’t go the way they want them to but they won’t resource to hurting people unnecessary. The ram men are impulsive but full of inner strength. People born during the period when the Sun passes the section of Aries in the zodiac, between March 21st and April 19th, are considered to be in the Aries zodiac sign. There are three Aries decans, each with their own influence on the personality of those born during them. Birthday dates ranging from March 21st to March 30th are placed in the first decan that is governed by the planet Mars. Those born between March 31st and April 10th belong to the second decan that is under the supervision of the Sun. Aries birth dates ranging from April 11th to April 19th are placed in the third decan that is influenced by the planet Jupiter. Click on your birth day in the calendar below to read a complete description of your Aries personality! Does the information on Aries Zodiac Sign describe you?